Five-day pass: $100 Children (12 & younger): FREE with a paid adult admission. Check the Miami Boat Show website for parking fees. Prices are subject to change. The Miami International Boat Show is one of the world's largest and greatest boating events. The Show features thousands of the newest powerboats, sailboats, engines, electronics and marine accessories from more than 2,000 manufacturers. There will be everything from personal watercraft and performance boats to sport fishers and mega-yachts. The Miami Boat Show takes place in two locations the Miami Marine Stadium Park & Basin and Miamarina at Bayside. At Miamarina at Bayside is the Strictly Sail Boat Show and you'll find sailboats, sailing accessories and gear from all over the world including a huge selection of catamarans. This show offers something for every boating lifestyle and budget. Amazing locations, over 3,000 boats, and more than 2,000 exhibitors! The Miami International Boat Show surely promises to be one of the most happening places to be at in this new boating season! 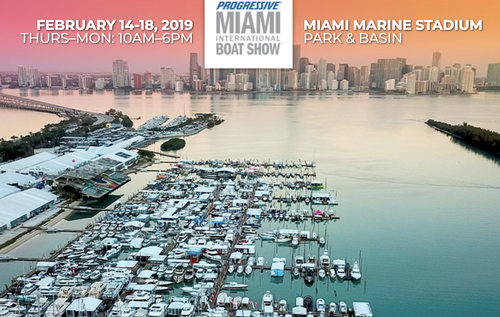 Spread across the Miami Marine Stadium Park & Basin, and Miamarina at Bayside, this five day event has all it takes to make any boat show a success.